Hello! I'm Nathan Byrne; I'm 19 3/4 years old, I like to eat cereal for dinner and I'm the trainee director on Prom Night. We started this scorching day with a run of act one, then used the afternoon to polish the second act before running this newly-polished act two in the evening. Everything is coming together nicely and the show is really starting to take shape. The cast are all putting in a lot of hard work and I feel very lucky to be working with people who are so dedicated. It took me a long while to think about who would play me in a film. After hours of dedicated consideration, I believe that there is only one actor who could potray the internal struggles of a man who eats cereal for dinner. 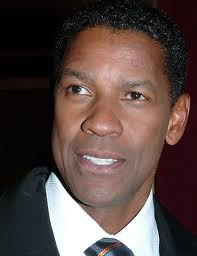 Denzel Washington.